Measuring Ketosis With Ketone Test Strips: Are They Accurate? Many people following keto diets want to be in ketosis, a natural state in which the body burns fat for fuel. For this reason, people are curious about whether they are doing enough (via carb restriction) to achieve this state. As a result, ketone strips are a popular tool that numerous people use as a way of measuring ketosis. However, just how accurate are they? And how do they compare to alternate methods of measuring ketones? Anyone following a standard high-carbohydrate diet will be burning glucose for energy. However, the body can use both carbohydrate and fat for fuel (1). When carbohydrate intake is very low, the body switches to burning fat for energy. As this happens, our body enters a state of ketosis. Ketosis is a natural biological state during which our body burns fat for fuel. While we are “in ketosis,” our blood levels of ketones—a by-product from the breakdown of fats—rise. Measuring these ketones (also known as ‘ketone bodies’) can, therefore, provide a hint as to how deeply our body is (or isn’t) in ketosis. For this reason, ketone strips—which measure the level of ketones—have become increasingly popular in recent times. Key Point: Ketosis is a biological state where the human body burns fat rather than carbs. What are Ketone Test Strips? For people who want to know if they’re in ketosis, ketone test strips are a cheap and simple way of detecting ketone levels. They are otherwise known as ‘ketone sticks’ and work by urinalysis to tell us the volume of acetoacetate in our urine. If you don’t know what acetoacetate is, then let’s start at the beginning. Acetoacetate is one of the two main ketone bodies, and it is present in urine. We can test for it by using ketone strips. Beta-hydroxybutyrate is created from acetoacetate, and it is the second of the main ketone bodies. This ketone body shows up in our blood, and blood ketone meters can tell us the volume. Acetone is also a ketone body, although not as prevalent as acetoacetate and beta-hydroxybutyrate. The breakdown of acetoacetate produces acetone, and it is present in our breath. How Do Ketone Strips Work? Comparing the color of your ketone strip to the color chart will let you know if you’re in ketosis (and how deeply). The color on the far left means that no ketones are present, and the pink colors signify a light to medium state of nutritional ketosis. As we move further to the right, the darker purple shades suggest a very strong level of ketosis. Key Point: Ketone test strips are a urinalysis tool. They give people an indication of their state of ketosis by showing the level of ketones in urine. What Level of Ketone Bodies is Best For Health? For those aiming to be in ketosis, what kind of reading should we strive for? I have a feeling that many will look at the table and automatically assume that ‘strong’ is best. However, for the average person just looking to take care of their health—or maybe lose some weight—higher levels are not necessary at all. If you’re in the ‘light’ range, then your body will be burning fat for fuel, and you’ll have ketone levels that are many multiples of the average person. In short, aiming for a random ‘optimal’ ketone number isn’t the right approach. Listening to your body and seeing how you feel? That’s the right way to go about it. Note: If you are undertaking a ketogenic diet for a medical purpose, speak to your physician about this. Therapeutic ketosis levels may be very different to what the average person needs. Key Point: Higher ketone levels are not necessarily better. For the average person, light/moderate ketosis is perfectly fine. How Accurately Do Ketone Strips Measure Ketosis? On the negative side, ketone strips are not always as accurate as most people believe. In the first place, any ketones which go unused by the body are excreted via urine (2). To put that differently, urine strips only show the number of excessive ketones that our body couldn’t use. Therefore, just because the level of ketones in urine is small doesn’t mean that the levels in our blood are also small. Nor does it mean that we are not in ketosis. For this reason, blood ketone levels are a more accurate way of measuring ketosis than ketone test strips. Hydration – Does Over/Under Hydration Affect Ketone Levels? First of all, this idea relates to how well hydrated (or dehydrated) someone is, and whether this state impacts the ketone strip reading. For instance, if someone is drinking large amounts of water, then it may dilute urine to the extent that affects the reading. On the other hand, if someone is dehydrated, then higher concentrations of ketones may be present. However, I’m not convinced that hydration greatly impacts the reading. Ketone strips are designed for the average person consuming typical amounts of water. If someone is seriously dehydrated or drinking extreme amounts of water, then yes… this may potentially impact the reading. But for the average person, I don’t think hydration should significantly affect these readings. It takes time to adapt to burning fat for fuel. This particular name refers to the often uncomfortable period during which the body learns to use fat for fuel rather than glucose. In other words, when someone first starts a ketogenic diet, the body won’t be using ketones efficiently (3). As a result, it’s likely there will be a higher concentration of waste ketones in the urine in the initial stages. Over time and as the body adapts to burning fat for fuel, it should become more adept at burning ketones for energy. As this happens, the volume of ketones we excrete will fall. Consequently, ketone readings may go down at this time. This disparity may be confusing since your body will be more in ketosis, yet with a lower level of ketones showing on the ketone strip. It is a reason why ketone sticks don’t tell the full story and why their accuracy isn’t always reliable. Key Point: Ketone strips are not always 100% accurate, and the readings may fluctuate for a number of reasons. What Are Some Other Ways To Measure Ketones? As we have already gone through the latter, let’s look at the other two methods. Ketone blood meters are more accurate than testing by urine strips. However, this extra accuracy comes at a higher price. How do blood ketone meters work? First, you need to insert a blood ketone strip into the ketone meter. After this, prick your finger to draw some blood (don’t worry, it’s just a small drop like a standard blood glucose test). Put the blood on the ketone strip and check the results. This technique is simple, and as previously mentioned, levels of ketones in the blood give a more reliable indicator of ketosis than urine levels. The initial purchase of the equipment is more expensive than ketone strips, but it’s a one-time deal. No more purchases are necessary. Unlike the other two methods, you can re-use the breathalyzer as much as you want. It’s by far the most cost-effective way of measuring ketones. It’s straightforward to use and doesn’t require urine or blood. How do breath ketone analyzers work? All you have to do is turn on the breathalyzer and then breathe into it for however long the manufacturer instructs (about 15 seconds). Wait for a few seconds and then check the results. Key Point: Blood ketone meters and breath ketone analyzers are more accurate than ketone strips. This question has no clear answer, and it depends on what you’re looking for. Breath Ketone Analyzer: Expensive, but you only pay once since it needs no ketone strips. Probably somewhere in the middle when it comes to accuracy. Ketone strips are a reasonably accurate—and cheap—way to detect someone’s (approximate) state of ketosis. For someone attempting to ‘enter’ therapeutic levels of ketosis, ketone testing is a valuable tool. However, they are probably not necessary for the average person who just wants to lose a bit of weight or finds a keto diet beneficial. That said, they can be a useful way to check that those new to ketogenic diets are on the right track. For information on when excessive ketone levels can be an issue, see this ketoacidosis guide. Thank you so much Michael Joseph. This is a very helpful article. Thanks for your insights!!! excellent article. Thanks mamatha, glad it helped! It’s really difficult to have an insight into this because so many different things could have had an effect here. For example, a lack of sleep over the preceding days or a slight dietary change? Providing you don’t need to maintain a specific ketone reading for medical reasons/doctor’s advice, I would say that an inconsistent ketone reading isn’t a big deal providing other markers are OK. For instance, if you’re trying to lose weight or trying to keep blood glucose down….if it’s going well, that’s more important than a specific ketone reading. I have lost 3 pounds this week and I took the ketosis urine test it said I had a small amount of ketosis! I feel good though lots of energy and my daughter and I even went for a walk around the nieghborhood last night for over a hour. I get really hungry around bedtime but force myself to just go to sleep. I dont usually wake up hungry in the mornings though it’s weird. Any advice for my night cravings. I’m not sure – are you eating enough during the day? If feeling hungry at night time, upping protein intake a little could help (protein tends to be the most satiating macronutrient), or possibly making dinner slightly later (depending on when you already have it). I have been on the ruled me Keto diet for 10 days. Only lost 2 pounds. I test 4.0(moderate) on the Keto strip. Why am I not losing more weight? Sorry Stacy, but this is very difficult to answer without knowing any details of the diet or existing stats. For anyone following a weight loss diet but not losing weight, the most likely reason would be that overall food intake is too high. That said, 2 pounds of weight loss in 10 days sounds quite good – providing it isn’t just water weight, that would be about 6 lbs per month. Thanks for this great article. I start water testing and I checked my keto level on 5th and 6th day. Both came out a little darker than moderate. Is this normal? Thanks Sal! A little darker than moderate would make sense if you are eating a diet fairly low in carbohydrate. Hi! I started the keto diet, and it’s been one month and 1 week. I was showing high ketones level during the second week of keto, but when I checked today the level was small. I haven’t changed any food in my diet, and I haven’t had an increase in carbs. Any idea why this is? There is no way to know for sure, unfortunately. However, some studies show that the body gets more effective at using ketones for energy (i.e. burning fat for fuel) over time. In such cases, since more ketones are burned by the body after adapting to a ketogenic diet, fewer would be left over to be picked up by the test strip. Things such as stress or lack of sleep can also raise cortisol which would reduce ketone levels. There’s also the possibility that the strip gave a faulty reading. Sorry that there’s nothing more definite, but I hope this helps! Hi, i have been in keto diet for three week when i started i felt terrible. Upset stomach low blood presure, headache and palpitations. Second week i was feeling good but today i feel terrible again. Palpitations have not go away sience fisrt day. Knomd hands, face and legs with little ants walking all over, feel like. My test strip is always shown large number of keatones. Thank-you! This was a very helpful, informative article for the average (learning how to navigate the Ketogenic diet strategy) guy. I’ve just used my first strip this morning and was curious/concerned that the reading of “SMALL” on the scale of NEGATIVE, TRACE, SMALL, MODERATE, LARGE, more LARGE was inadequate. But your information gives me some understanding that I may be headed in the right direction. No problem! Glad it was useful for you. I started keto around beginning of September and have lost about 13 pounds. I did a cheat day yesterday and had probably 100 carbs. and normally I never go over 50. I’m really good with this diet. But my keto level measured negative today. is this bad? Am I no longer in ketosis now? 1) The readings can sometimes be inaccurate. 2) If you lower carbs again then the ketone readings should quickly go back to whatever they were. 3) Being “in ketosis” is just a natural process that happens when carbs are very low, but that doesn’t mean we need to be in it all the time. There is a lot of confusing information about this online, but if the diet is consistently working for health/weight loss, then that is much more important than ketone levels. I started Keto almost 4 weeks ago. I have lost 15 lbs and stalled but have gone down a size on the stall. 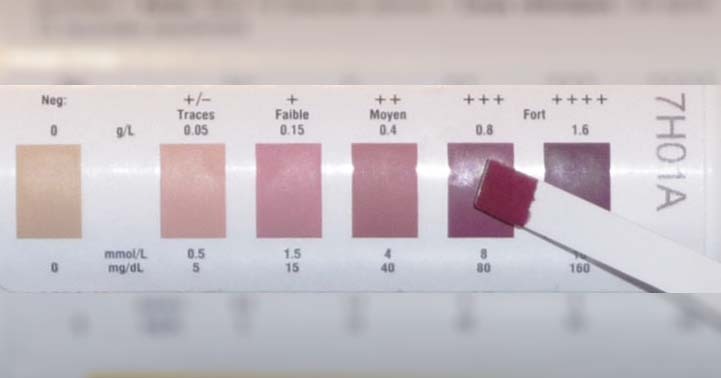 The Keto urine strip is always the same color moderate that really dark pink 4.0 range. Is that ok? I mean after reading your article I probably should just toss them. I did notice that when they are in the garbage the next day they are dark purple. Is it the same rule of thumb don’t read them again after initial result? Thank you! Yes, if that is what you are aiming for. The test strips will show their most accurate reading after about 15 seconds, so anything after that will be unreliable. Been doing keto for a month and lost 16lbs just got my urine strips today and they say I’m in the high range(80) not sure if that good or bad? It depends on what you are aiming for! If you are purposefully aiming to be strongly in ketosis, then that would be a good score. Many people do aim for around that area (50 – 80). Why do my ketostix always come up negative? My carbs have been kept below 30g/day and I’ve lost over 50lbs in less than 90 days I just don’t understand why the ketostix are not showing a positive reading. Not sure – that sounds strange. Did you follow the product instructions exactly? But either way, it is the outcome that is most important. If you are losing weight and making progress, then that is much more important than any random strip reading. Gluconeogenesis is a thing, but it’s something that is often misunderstood and there are lots of myths which get widely repeated. I started my keto diet 10 days back , starting from keto Reboot and continued on a strict low carb diet…I have lost 5.6 kgs and feel energetic..just to test whether I was in the state of ketosis I bought ketostix and measured the level…most of the times I am getting the level of 80++ initially j was happy about it but when I went to internet it’s mentioned that it might be an indication of diabetes and other things like coma and higher level might proved fatal…please clarify? 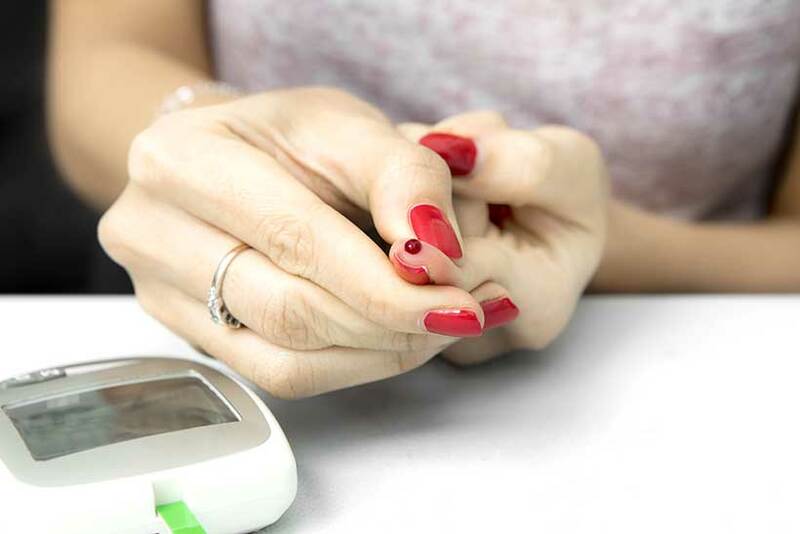 This is a potentially life-threatening condition that affects people with type 1 diabetes. If you have any concerns about T1D or anything else, please see your doctor/healthcare team, explain about your diet and get tested. It is always better to be safe and sure. I would pay more attention to how you feel rather than the test score. If you feel great and you have lost weight, then that’s amazing. Well done! Been on a ketone diet 10 days now dropped 11lb so over the moon my levels are showin +++80 I just wanted to use strips to check I’m doing my diet right and they worked for me as they are showing what I expected for my results did have the bad head first two days but energy levels and me feeling great at the minute. Glad it is working well so far, and congrats on your progress! Hey Michael, thank you for sharing the information, a great read! To be honest, I don’t know the exact reasons they get darker with longer lengths of time… but this is a common thing and always happens. As the pack will probably say, depending on the brand, an accurate reading will be given at 15 seconds! So, whatever color it is at that time will be the (most) accurate reading. 1) Ketogenic diets can have positive effects, but they aren’t the right fit for everyone – some people do better with more carbs. 2) Some people don’t eat enough food when they switch to a keto diet – they cut carbs, but don’t properly replace them with enough fat/protein. Thanks for the input, Tif. Great (and sensible) comments too. I have been on a Keto diet for 8 weeks and I have lost 12 pounds. My Keto sticks always register negative. I figure if I am eating Keto foods and losing weight then I should not worry about the test strips. Your thoughts? Absolutely, 100% agree. If you are losing weight and feeling healthy then that is the most important thing, not some random number. Well done on your progress too – 12 pounds in 8 weeks is great! Thank you very much! I was searching around the internet for “just simply stated” information and found it here. And another thank you for the Ketone Level Chart. Added it to my phone for ready reference at a glance! Thanks, Luis! Hope you find them both useful. That pretty much sums it up – they are useful, but (usually) not necessary! Inaccuracy issues with keto strips do make sense. After all, the urine is never the truest indication of what’s going on in our bodies. It can help but it seems that the results should always be considered carefully. Quite right – random tests don’t always tell the whole story. What Is Ketoacidosis and Do Ketogenic Diets Cause It?